Special Purpose Drilling Machines can drill holes of different diameters ranging from 1mm to 40.00mm in Steel, cast iron, non-ferrous material at a time. The accuracy of location and size is ensured by providing proper jigs and clamping fixtures. Machines can drill holes in different planes. Please note that these machines are made to order. Final features and scope of supply is decided after discussions with clients. · Manual / Motorized lubrication. We manufacture machines which are not available in the market. These are designed to cater to the client’s needs, taking into account production requirement, quality of operations to be done, repeat accuracy, operator’s ease of handling, safety etc. 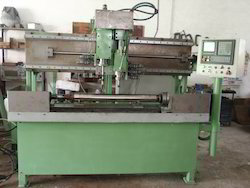 These include Multi Spindle Drilling Machines, Muilti Spindle Milling, tapping, boring, reaming. 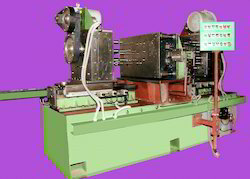 The purpose of these machines is to do multiple operations on a component in one setting. 2 way / 3 Way Multi Spindle Drilling Machines can drill no. of holes of same or different sizes in 2 or 3 planes. · All spindles drill holes at a time. · Any no. of spindles possible. 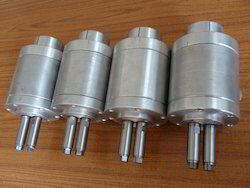 These attachments can be fitted to any drilling machine with sufficient rigidity and power. Full capacity of machine can be used. Use of these attachments will result in increase in production, reduced manpower, less material movement. Looking for Special Purpose Drilling Machines ?